How can I use After Effects to edit MP4? In speaking of After Effects we all know that it is a digital motion graphics, visual effects and compositing app used in the post-production process of filmmaking and television production. However, users find that it is difficult for them to import all MP4 videos to After Effects CS5/CS6/CC for further editing. In this article, we will discuss deeply on this issue. Adobe claims that After Effects support MP4 importing. But the problem with MP4 is, when you plan to edit MP4 file with After Effects (including After Effects CS5/CS6/CC), you may be unable to do this. There're some frequently asked questions quoted as below. I recently got a gopro hero 3 and wanted to slow a 960p 50fps video down in AE but i cannot open it. it just keeps saying it's of an unsopported format. How do I fix this? Hi there, A client send me some mp4 files for a project. If I import those mp4 files in cs4 they are just black. If I play it with quicktime or media player its all fine. Whats wrong with my cs5? Before I had no problems with mp4 files. In fact, MP4 codec is a final delivery codec it is not one you want to use for editing. Thus, there are many video, audio codec problems while importing MP4 video into After Effects for editing. Plus, even the Adobe program can ingest your MP4 files directly, it takes a long time for rendering. To get your MP4 into After Effects CS5/CS6/CC to play nicely, the quick workaround is to convert MP4 file to After Effects supported MPEG-2 encoded MPG (the most compatible video format for AE) file format and then transfer the converted MP4 videos to After Effects for editing. And then a 3rd party software is needed. 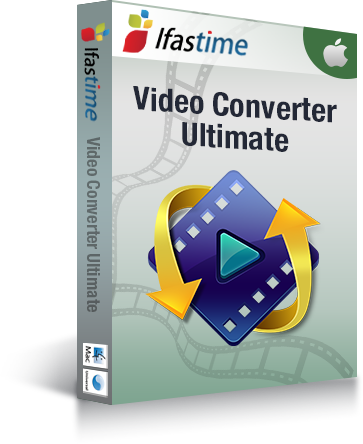 Personally, I have used iFastime Video Converter Ultimate for Mac, and it's a very affordable, fast, easy to use one software. 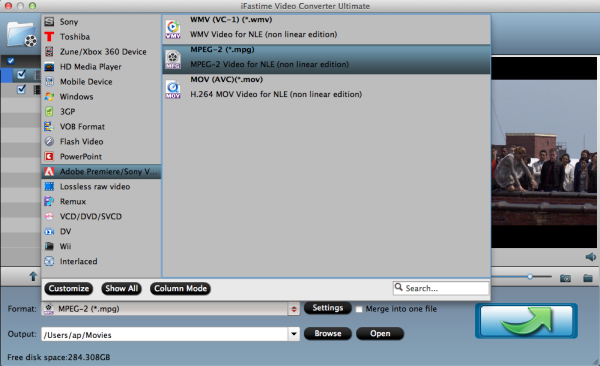 It can help me convert all my MP4 files to AE compatible format, make MP4 footage working well in After Effects CS5/CS6/CC. 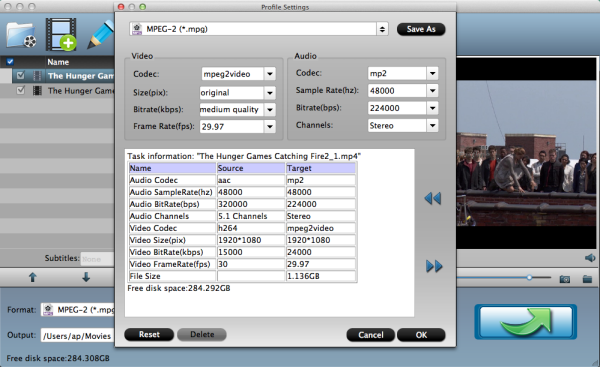 In addition, this program can support various common videos besides MP4, such as MOV, MKV, AVI , MTS , MXF, WMV, etc. Here is how t do it. Launch the program, and open the folder where you have saved the MP4 files, and then directly drag the files to the program interface, the files will be loaded to the program immediately. Alternatively, you can click "Add video" button to import the MP4 videos to the program. Hit the "Start conversion" button at the bottom right corner, let this smart Video Converter to do the rest for you! If you have added quite a bunch of video files, it would take some time to convert. In such case, you can click Option and tick the box "Shut down the computer after conversion". When the conversion is finished, you can click "Open" button to get the generated MPG files effortlessly. 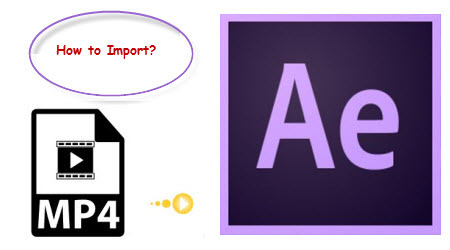 Launch AE on your PC, choose "File > Import" to get converted MPG files into After Effects CS5/CS6/CC for further editing beautifully. Now using your After Effects to edit MP4 is so easy! This tutorial is based on Mac OS X. If you are a Windows user, please try this MP4 to After Effects Converter. Why can't I use MP4 files in Premiere Pro? How do I edit the MP4 files in Sony Vegas 13/12? The software is pretty simple. I have used others in a trial setting, but this was by far the best I found.